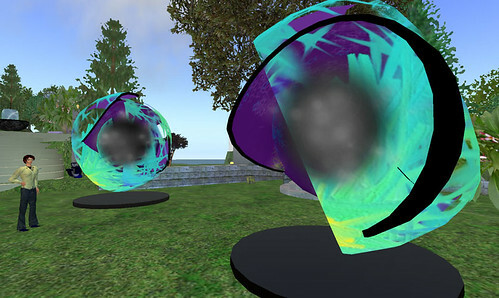 So I don’t usually post here on the Pressing Issues of the Day in Second Life, because there are so many of them, and they are often not really much fun, and other people have always posted more and better than I would anyway. But in this case a v good friend suggested that something I sent her in email would make a good weblog posting, and how can I resist the opportunity to get a new weblog post with minimal work? The Pressing Issue of the Day in this case is Linden Lab’s sudden announcement of a huge increase in the monthly cost of “Open Space” regions in Second Life, without any grandfathering for existing ones. The increase will make the cost unaffordable for lots of folks (fortunately for me even the previous low price was beyond my SL budget), and there is lots of understandable upsetness all over the place, as people try to decide what to do with areas that they’ve put lots of work into, and come to love and all. See this Vint Falken posting (which I link to despite the apostrophe error [shudder] in the title) for a good set of pointers to the slogosphere (“slogosphere” haha) coverage of the issue and the reaction and the Ongoing Controversy. As well as the understandable upsetness about the price rise and the ham-handed way it was announced, there’s also lots of speculation that the Lab folks must be lying about the real reason for the price rise, and that it’s a secret plot to get rid of customers, or make undeserved money, or other things that I’m bad at summarizing because I find them so unconvincing, and that (among other things) the fact that the Lab’s own new “Nautilus” build uses Open Spaces regions in ways that the Lab now says they weren’t originally intended to be used proves it. This is also perfectly understandable, but I think it’s also probably incorrect. Here’s a lightly-edited version of what I wrote in reply to a friend who emailed me asking what possible explanation there could be for all this. Someone proposes the original Open Space idea, for people to put empty spaces for sailing and wandering and stuff around their islands. LL does that, it’s pretty popular. 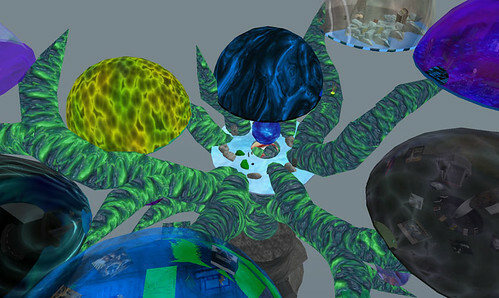 The original theory is that each one will require only 1/4 the resources of a normal sim, and they plan things that way, and they deploy them that way, and it mostly seems to be working or at least it’s not causing any of their top ten problems (which is all that they ever have time to look at). Since there seems like no reason not to, they start to let people put down Open Space sims not directly attached to an island, and to let people sell / sublet Open Space sims to others. Sales and revenue goes up, yay! In a burst of enthusiasm someone suggests raising the prim limit on them. Why not? Sales go up more! Yay! Someone somewhere else in the company is struggling to keep the asset servers up, as usual. Someone somewhere else is dealing with complaints about lag. As usual. Someone frowns and worries that maybe it’s all these new “Open Space” sims that have been growing exponentially in number, but then his beeper goes off and he has to go put out a fire and he forgets the thought. They (for some reason) decide to build Nautilus. Whoever’s assigned to build it decides to use some Open Space sims, ’cause why not? Probably they get to use more sims for the project that way, even. Someone knocks on someone’s door one day and says, um, you know the awful spike in asset server load we’ve been seeing? I think it’s the, um, Open Space sims. It looks like — and just then he’s interrupted by someone coming in behind him who says I finally had a chance to correlate all of this flood of lag reports, and it looks like it’s the Open Space sims! In unison, they say that it looks like we wildly underestimated the actual resource needs of these things. People get together and say damn what do we do about this? If Open Space sims continue to grow as they’re growing, we’ll either have to buy so many new servers (now that we know how much resources they actually need) that we’ll be losing money, or the grid’s going to implode from the load. Someone says well I guess we’ll just have to raise the price to reflect how much they actually cost us. Someone else says, the users will be pissed, can we grandfather in the existing ones? Someone else does the math, and says, not if we want to stay in business. Someone suggests actually thinking for five minutes about how to break this to the users, but everyone’s hungry so they go to lunch instead and just announce it baldly in a blog posting, because everyone in the company who understands anything about customer relations is either out on sick leave to recover from the last crisis, or has been assigned to the “boring corporate people in suits” desk and isn’t allowed to talk to retail customers. O lente, lente, currite noctis equi! 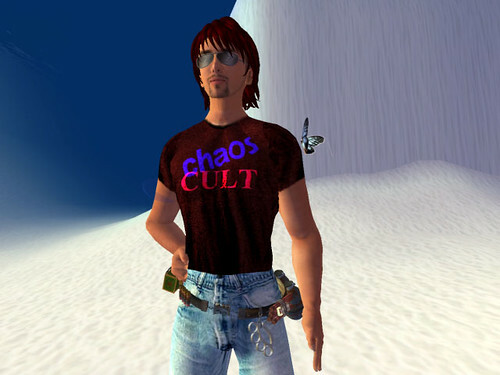 So time in SL is funny in various ways. First, there’s SLT, Second Life Time or Standard Linden Time or something, which is the same as United States Pacific Time (and presumably gains and loses an hour due to daylight savings at the same times as whatever jurisdiction Linden Lab’s headquarters is in does). 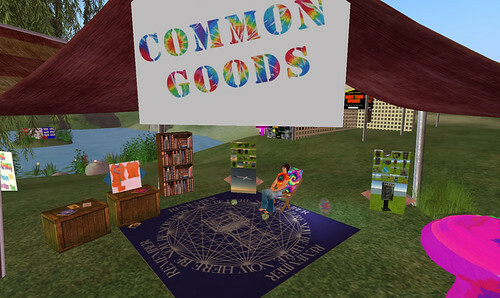 SLT is very useful for co-ordinating things, because people in SL are from at least as many different time zones as exist on Earth, and while having a single time-scale in common doesn’t make it any easier to get to those events that happen at 2am local time, at least you know they’re at 2am, and don’t try to attend at some other time entirely because you used the wrong GMT offset to convert from Irish to Japanese times. As well as SLT, we also have sun time. On the mainland, and on any private estates where the estate owner hasn’t overridden the sun, and as long as you yourself haven’t overridden the sun position in your viewer, you’ll see (if you’re outside, or in a place where the ceiling is missing or transparent, or if you’ve cammed out of doors) the sun (or the moon) going around from East to West, just like in the atomic world. But the SL default sun has a number of features that are very unlike the atomic world. In the atomic world, the sun rises roughly every 24 hours. In SL (assuming, etc), there’s a sunrise every four hours. So the sun-day is just four hours long; there are six sunrises and six sunsets every SLT-day. (Did Linden Lab do this so there’d be more scenic and romantic times? Or just on a whim? Or by accident? Who knows!) When it’s midnight SLT it’s also midnight according to the sun, but byond that things get strange. To illustrate all this, I made a clock (see illustration at right or somewhere). It occurs to me, having just uploaded the picture, that being a completely static picture of a circle with three hands and a little mark at the top, it doesn’t actually tell you anything at all except “look! a clock!, but there you are. What the clock actually does, in SL, is map the SL sun-day into a 24-hour clock day. At sun-midnight (when the moon is high), all three hands point up. The hour hand goes around twice per sun-day (that is, twice every four hours, once every two hours), just like an atomic-world twelve-hour clock goes around twice per atomic-world day. The minute-hand goes around twelve times during each daylight period, and twelve times during each nighttime period (and the secondhand does the same only sixty times faster), just like (roughly) in the atomic world. Since the SL sun-day daylight period is one-third the length of the nighttime period, the hands move three times as fast at night.